Deep amid the Upland crags and cliffs there runs a seam of sacred jade long foresworn by highland minders. From this rare material, the likeness of the great general Kaolin was carved and buried at the head of a stone funerary army ten thousand strong--a force of soldiers and holy men, jesters and acrobats, carved by crafstmen and entombed for millennia in the dark embrace of the Earth. Earth Spirit is a hero who is very much versatile. From stunning, slowing, silencing, and also initiating though, this hero is able to cover all of it. And with the skill that has a short cooldown, add to the perfection of this hero. Correct use of the skill will determine your success in using this hero, so first learn how to do the tricks and optimize its skills and you will be IMBA. High damage ultimate Must use all of his abilities carefully. If can't then you will be so useless. Earth Spirit smashes the target enemy, ally, or Stone Remnant, knocking it back in the direction he is facing. The knocked back target deals damage to all units it hits. If the target was a Stone Remnant, damaged targets are also stunned, and the travel distance is improved. Skill is a bit difficult for those who are still unfamiliar with this hero. Enemies whose hit by the stone will be exposed to stun and damage. The direction of the kick is straight, then make sure your position and the position of the target is a straight line and then you can launch a kick. With the number of times you use this hero you will surely understand by yourself. So keep practicing and become better. After a 0.6s delay, Earth Spirit becomes a boulder, rolling in the direction he is facing and damaging enemy units, stopping if he collides with an enemy hero or is stunned. If the boulder rolls over a Stone Remnant, the Stone Remnant is consumed and travel distance and speed are improved, and impacted enemies have their movement and attack speed slowed. You will roll and will stop when there is an enemy getting hit by you, then the enemy will be slowed. Make sure you roll on the rock so that you will roll on a maximum distance, because if there is no stone, it will be a short distance. This skill is quite good for initiating, then you will be rolling into the middle area of ​​the opponent, and then start the teamfight. Earth Spirit pulls the target allied unit or Stone Remnant to his location. Enemies struck by the flying target will be stunned, and take damage if the flying target is a Stone Remnant. You can pull the rock / friendly hero at you and the enemy crushed will be silenced. Skills are good enough to start a gank or a teamfight. When the enemy is silenced, your team can easily beat him. Also useful when your friend is in trouble and you can pull him to the farthest from the enemy who pursued him. Call a Stone Remnant at the target location. Stones Remnants have no vision and are invulnerable, and can be used with Earth Spirit's abilities. Calling a Stone Remnant consumes a charge, which recharge over time. Put the stone. Stone is an element of every skill you have. All of them need stone. Magnetizes units in a small nearby area, causing them to take damage over time for a short duration. Any magnetized heroes cause nearby Stone Remnants to become energized and explode, applying/refreshing the magnetize debuff on all units near the Stone Remnant. This process can repeat multiple times. Stone Remnants are destroyed in this process. If an enemy hero is affected by silence or slows as a result of Rolling Boulder or Boulder Smash, all magnetized heroes share the effects. Deal damage to enemies around you. With the stone, dps will increase. If multiple enemies at the same time exposed by the Magnetize, it is enough to silence one person and the friends will also be affected by the silence. Similarly as the Rolling Boulder slow, then all enemies will be exposed to slows as well. This principle does not apply to stun. Why Boulder Smash taken first? 125 damage at level 1 is good to herass enemy in the lane. And if want to hunt firstblood, his stun will be needed. Why Boulder Smash need to be maximized first? the more damage and also the decreases of cooldown which will benefit to for stunning and damaging more in the gank and teamfight. Why increase Geomagnetic Grip before the rolling Boulder? Silence will be needed for ganking, and the increasing silence duration would trigger ganking success. At the beginning of the game, your role will depend on your position in the team, whether you are here as a support, or you as a solo offlane or you as a solo mid lane? Will now be discussed one by one on all three roles above. As a means of support in your lane, there will be a carry that will do the last hits, and here you are guarding him. In case your carry is attacked by the enemy, you should immediately stun them with Geomagnetic grip, or you can pull your friend for safety using Geomagnetic Grip. If you want to act rather aggressively, then you can roll towards the enemy and then stun and silence him then take him down with your friend..
2. As a solo offlane. As a solo offlaner, then all it takes is patience because it is very difficult for solo offlaner to get gold and exp.Because the enemy will do to pull his creep wave and making us not get anything. It takes patience. Do not be too far away from your tower. If there is a chance and 100% safe from a gank then you can try to last-hits. Keep playing safe until someone is coming into your lane and gank the enemy! Or maybe you can leave your lane and gank the enemy on the other lane. 3. As a solo mid. As a solo mid, the skills for last hitting and denying will be more needed than the other roles. Keep calm! and occasionally harass the enemy. Also, on the mid lane you will need a bottle. Bottle is needed to get runes for ganking other lanes. Once you're level 6 or above, start to move to another lane to gank the enemy. Look for the kill as much. In the mid game , your ganks will determine the success of your team . You have steady abilities, either stun or silence to defeat enemies . Before doing gank , prepare items that may be needed , such as dust , or smoke . And do not forget to coordinate the gank with your friends ,remember to focus on one target, and kill him first and then you can switch to another target . Highly recommended to chain stun ,waiting for the completion of the stun before casting the next stun. For initiation using Earth Spirit , use the Rolling Boulder to advance towards the enemy , do not forget shortly after rolling , place the stones so that the farther distance performance. And then you can cast stun( Geomagnetic Grip) and then use ulti, and also don'tforget to use silence ( Boulder Smash ) . Ifyour combo is right then the enemy will dither and his Hp will become little, and friends can easily defeat the enemy . In the late game your main role is as an initiator to make some space for your teammates . As always use the Rolling Boulder to roll towards the enemy , then stun , then ulti and Silence . 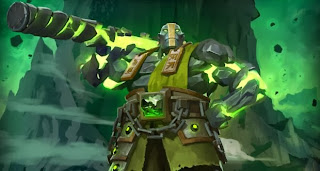 If all goes well, after you do a teamfight initiation, all enemies will be exposed to damage by 20-30% of their hp, besides that they will be stunned and silenced. And it would open widen the way for the carry to finish them off. Branches: You need the branches to be build into Magic Wand later. Arcane Boots: You need the mana boots for your mana pool. you are a spammer hero who spams your every abilities on a teamfight. So you needs lots of mana to be able to do full action. Magic Wand: And the magic wand if for a situation when you are almost getting killed, and you can save your life by using the charge. Veil: Increase magic damage received by enemies. This item will increase the damage from your ultimate and also all magical damage from your teammates. Pretty much needed to ensure the death of all enemies. Mekans: Heal allies in the AoE. every team needs this, ensure the survivability of your teammates. Pipe: Increase magic resistance for the team. With this item, your team is more tanky. Drum: Increase attack speed and movement speed for the team. Bkb: gives magic immunity during teamfights. pretty much increase your defense during every single teamfight. Sheepstick: Increase the quality of your initiation. Shivas: Decrease enemys attack speed and movement speed. Hellberd: Make 1 enemy to can't attack for some time. Pretty much needed for enemy that mainly attack using physical damage.